Learning the hands-on way with Cheeselinks. Family-owned-and-operated Cheeselinks was a finalist in the Best First Year Entry and Customer Service categories at the 2018 Geelong Business Excellence Awards. The business was established in 1986 to provide quality cheese-making ingredients and education to people wanting to make cheese in their own homes. Initially operating as Home Cheesemaking Supplies, the owners changed the name in 1999 to reflect their increasing base of commercial customers. 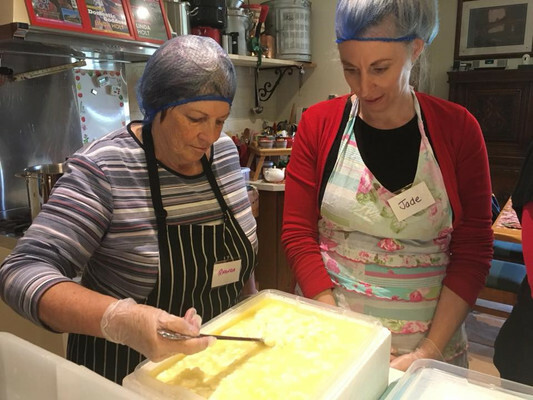 “Over time we have expanded and we now supply many of Australia’s cheese factories with cultures, baskets, and other equipment,” the owners explain. They describe cheese-making as “more than an art, it’s a passion”. “There are few pastimes more fulfilling than creating your own produce. Cheeselinks stocks and supplies a wide selection of cheese-making tools, equipment and ingredients. “We also host a range of workshops to provide expert advice and guidance on how to make an assortment of cheese styles. Come share our passion,” the owners say. “Cheese and yoghurt-making kits and cultures, rennet, recipes, hoops and baskets, wraps, workshops – we have basically everything you need to make sensational dairy products in your own kitchen.